City announces developer for abandoned Logan lot. The city-run agency Philadelphia Redevelopment Authority has named Goldenberg Development with the task of placing something on the empty 40-acres of land in Logan. 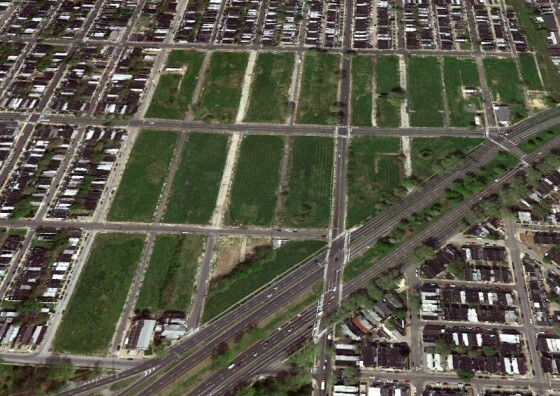 The “Logan Triangle” of empty space is made up of roughly 17 blocks by the Roosevelt Boulevard, Loudon and 7th and 11th Street. Goldenberg’s prior redevelopment projects include many shopping plazas in Philadelphia and its suburbs and a few high-end apartment buildings. The Goldenberg Development site lists an in-development project in Camden, N.J. where a new Shop Rite supermarket and other retail stores are expected to be built in the redeveloping city of Camden. Logan may see something similar but the Philadelphia Redevelopment Authority and Goldenberg haven’t said officially what will be placed there and when construction would begin. One large obstacle for the “Logan Triangle” could be the ash that was placed over the creek bed back in the 1920s that led to homes sinking and the later demolition of hundreds of homes. ← School District wants to make Cooke Middle School into a charter.